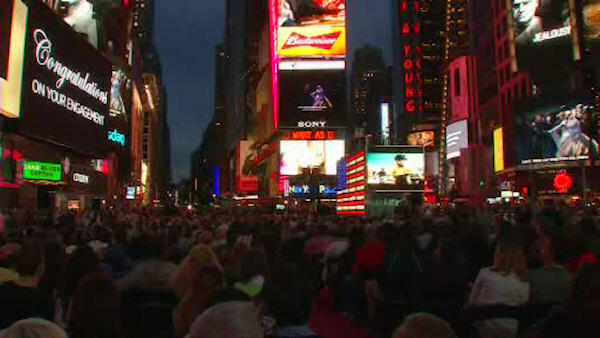 TIMES SQUARE (WABC) -- Thousands experienced a night at the opera right in the heart of Times Square Monday night. A live transmission of the Metropolitan Opera's opening night performance of "Verdi's Otello" was played on the screens of Times Square. The simulcast included 2,000 seats. Seated guests were treated to the full opera experience, including being ushered to their free seats, and served food from nearby kiosks.